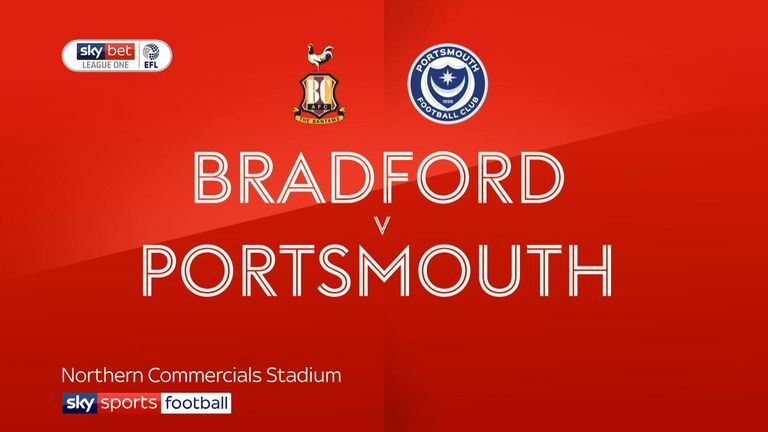 Highlights of the Sky Bet League One game between Bradford and Portsmouth. Portsmouth captain Gareth Evans condemned Sky Bet League One bottom club Bradford to their sixth defeat in a row with a 1-0 win at Valley Parade. 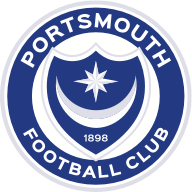 It was League One leaders Pompey's seventh away win and Bradford's seventh home defeat. To compound the misery of the home side they had left back Adam Chicksen sent off after 83 minutes for a second bookable offence. It was Chicksen's first match back after two months out of action through injury. The winning goal came in the 11th minute when the ball was swung out to the left where Ronan Curtis pulled it back into the path of Evans, who against his old club scored with a right-foot shot high into the net from 15 yards. The visitors came close to increasing their lead in the 28th minute when Oli Hawkins headed narrowly over the crossbar after Evans' long free-kick was headed on by Tom Naylor and four minutes later the Bantams' Richard O'Donnell had to dive full length to save after Ben Thompson's shot took a deflection. Bradford had two great chances to equalise in the second half. 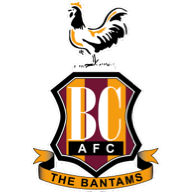 The first came in the 60th minute when a corner was cleared only as far as Lewis O'Brien and the Huddersfield loanee found defender Anthony O'Connor unmarked in front of goal, but the Bantams' skipper's header lacked power and keeper Craig MacGillvray made an easy save. Then, midfield player Hope Akpan spurned another chance for Bradford share the points in the first minute of stoppage time after exchanging passes with substitute Sherwin Seedorf, but fired over the bar with only MacGillvray to beat.